A dead peregrine falcon has been found by a walker in the Yorkshire Dales. The bird, which was discovered in Hebden Gill, east of Grassington, died because of shotgun wounds, police said. Officers are appealing for witnesses to the crime or any other information that will lead them to finding the culprit responsible for the illegal shooting of the bird of prey. The body was found by a member of the public at the side of the footpath up Hebden Gill, north of the hamlet of Hebden. 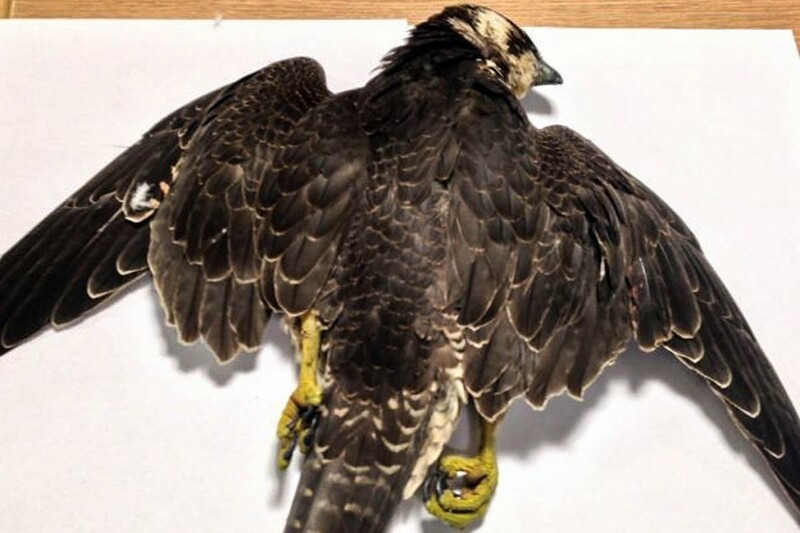 North Yorkshire Police said PC Simon Crossley, wildlife crime officer for the Craven district, went to the scene and recovered a female peregrine falcon with apparent gunshot wounds to one of its wings. A spokesperson said: “The bird appeared in very good condition despite its injuries. Peregrine falcons are protected under the Wildlife and Countryside Act 1981. Police are appealing for information that would help them identify who is responsible for the killing of the Falcon. Anyone with information is asked to contact North Yorkshire Police via 101 and quote crime reference number 12160181442. North Yorkshire has an unenviable reputation for raptor persecution. In June, a shot red kite was found at Timble Ings near Fewston Reservoir, not far from a similar discovery the previous month. The incident prompted the Yorkshire Dales National Park Authority chairman Peter Charlesworth to say: “At a time when the Yorkshire Dales is receiving such widespread recognition as a wonderful place to visit, it’s incredibly disappointing that the criminal persecution of birds of prey continues to damage the reputation of the area. A pair of peregrine falcons regularly nest at Malham Cove, 12km (7 miles) west of Hebden, drawing hundreds of visitors to view them raise their chicks each year. In May, North Yorkshire Police revealed eight red kites, including one of those near Fewston, had died from either shooting or suspected poisoning. This is appalling, the continuing persecution of birds of Prey in the Dales - especially South west area. As the Article details , this has got worse recently. It must be connected to the keepering of Grouse moors.